Clean water should be easy, but often times it's not. Municipalities treat our water to make it "safe for human consumption", but they are often unable to remove all of the pharmaceuticals, agricultural contaminates (i.e. pesticides), and other harmful pollutants. Berkey water filters offer amazing filtration capabilities at an affordable price, and the best part is that the filters do not remove the important minerals that your body needs. Stop in our office to see the different sizes available and determine which size would best fit your family. Berkey water filtration systems are designed to fit easily on your kitchen counter making it easy to use without taking up a lot of space. The smaller Travel Berkey system is designed to be able to fit into a suitcase, and can be a great option for studio apartments or even the college dorms. The largest system, however, has the filtration capacity to provide clean drinking water to large groups of people for community events or churches. 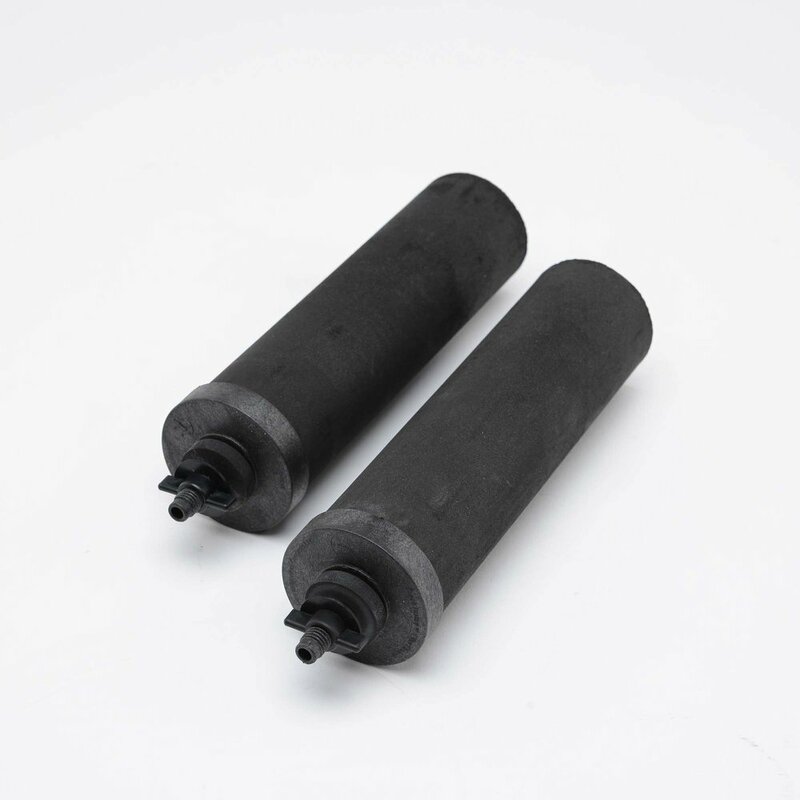 Black Berkey® Purification Elements classified as water purifiers because they reduce or remove up to 99.9999999% of pathogenic bacteria and up to 99.999% of viruses, which greatly exceeds the standard. They can purify raw untreated water, removing volatile organic compounds, trihalomethanes, chemicals, herbicides and inorganic minerals. They remove or greatly reduce contaminants like viruses, bacteria, pesticides, PFCs, pharmaceuticals, heavy metals like lead and even radiologicals. The Berkey PF-2™ Fluoride and Arsenic Reduction Elements adsorb unwanted elements found in drinking water, and are designed to be used in conjunction with the Black Berkey® Purification Elements only. The Berkey Shower Filter™ is designed for those who want the benefits of showering in filtered water. Consider the amount of water the system’s lower chamber can hold (capacity), and how fast you would like the system to produce purified water per hour (flow rate). 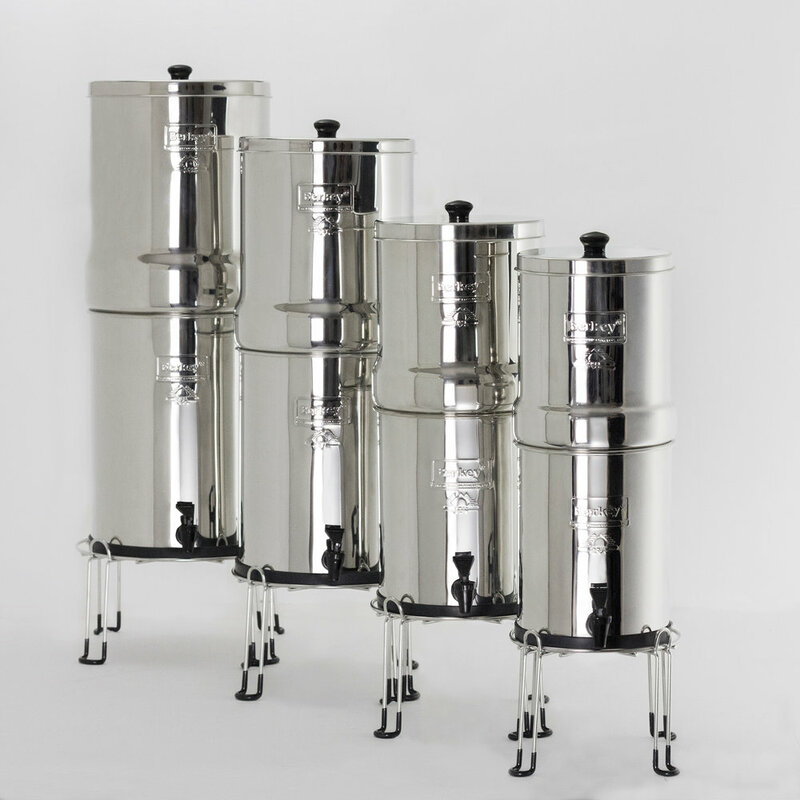 There are 5 stainless steel Berkey® System sizes to choose from. Each system includes 2 Black Berkey® Purification Elements providing 6,000 gallons of purification. Each additional set of 2 elements speeds up the purification process and adds 6,000 gallons in lifespan.